We always recommend coming out for a practice night prior to racing your first time. 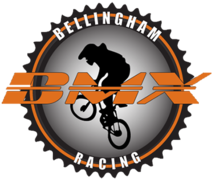 • USABMX requires that all riders racing must have an affiliation with the organization to race at a USABMX sanctioned race. Riders are offered a free trial one-day membership that can be used for one race only. (entry fee of $10 is still required) This paperwork will need to be filled out and turned in prior to racing. •Bike with tires in good working order. •Bike stripped of the following: reflectors, kickstands, pegs and training wheels. •Front brakes must be disabled. Rear breaks only.